Trick out your ride with Anzo black halo projector headlights. Anzo headlights are designed using the best technology that boasts impressive style and stronger light output, than OEM. Anzo halo projector headlights will give you better night visibility. Which will converter in to better safety for you and your family. 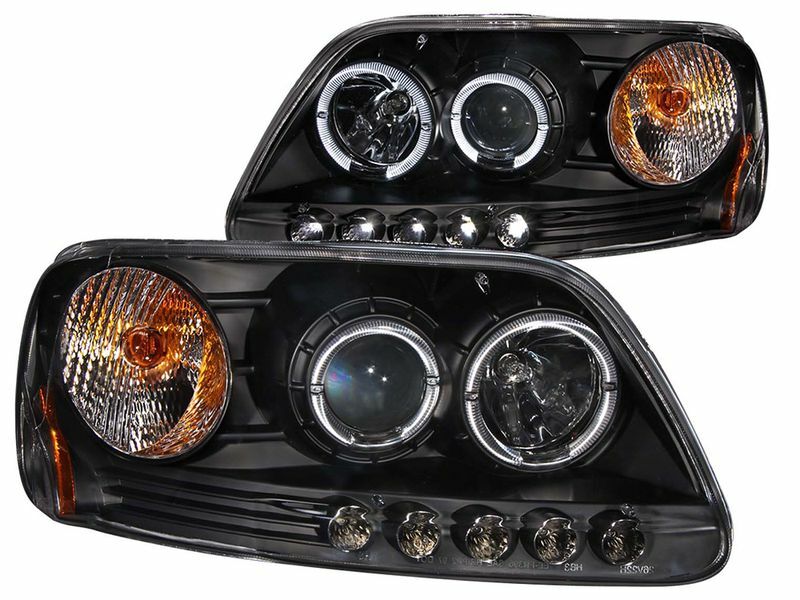 With these halo headlights you'll be sure to turn heads while cruising main! Anzo has designed their black halo projector headlights to be direct replacements for you factory headlights. No drilling, cutting, or special tools needed, a simple bolt-on, plug-n-play installation takes just minutes. These headlights come with a sleek black housing to blend in with your front end. The clear lens and multi-faceted reflector will provide you with brilliant illumination for years to come. Don't wait any longer, replace your worn out head lights with some stunning new Anzo black halo projector headlights. Anzo lighting products, including their headlights, are covered by Anzo's one year limited warranty against defects in materials or workmanship. Installing the Anzo black halo projector headlights is easy, with no drilling, cutting, or special tools, needed. It is just a simple bolt-on, plug-n-play installation taking only about 10 minutes. If you have any questions please let our amazing customer service team know.